My Publications, Presentations, Teaching/Supervision and Outreach activities are detailed on separate pages. You can download a shortened version of my CV here. This page is organised as follows: Current positions; Field work experience; Past positions; Education; Funded research grants; Other duties. Associate Senior Lecturer (biträdande lektor), based at the Department of Earth Sciences, University of Gothenburg (Sweden). Co-lead of team OCEAN for the international MOSAiC expedition. Associate Editor of the Journal of Physical Oceanography. Geophysical fluid dynamics lab experiment in a 13m rotating tank to simulate the topographic controls of ocean circulation in glacial fjords. SiPCA expedition (Survival of the Polar Cod in a changing Arctic) PS106, north of Svalbard. C. Heuzé’s equipment was purchased with a grant awarded to C. Heuzé by the Olle Engkvist Stiftelse. Group leader (PI) for the physical oceanography. 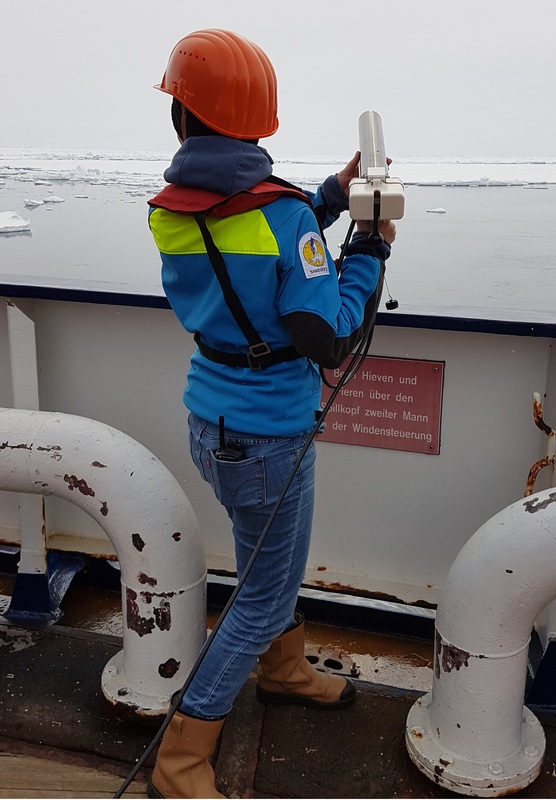 Oceanography and biology research cruise in the Southern Weddell Sea. Group leader (PI) for the physical oceanography. 2015 – 2018 – VINNOVA Marie Curie research fellow between the University of Gothenburg (Sweden) and the University of Oxford (UK). Since January 2018 – Co-supervisor of a University of Gothenburg PhD student. Since July 2015 – Teaching and supervision of Master and Bsc students at the University of Gothenburg. See the Teaching page. 2017 Executive Secretary of APECS (Association of Polar Early Career Scientists) Sweden. 2018 National committee representative of APECS Sweden within APECS international. December 2015 to June 2017 – Consultant for the Radar Remote Sensing group of Chalmers Technical University, Gothenburg (Sweden). Since January 2017 – Co-supervisor of a Chalmers PhD student. 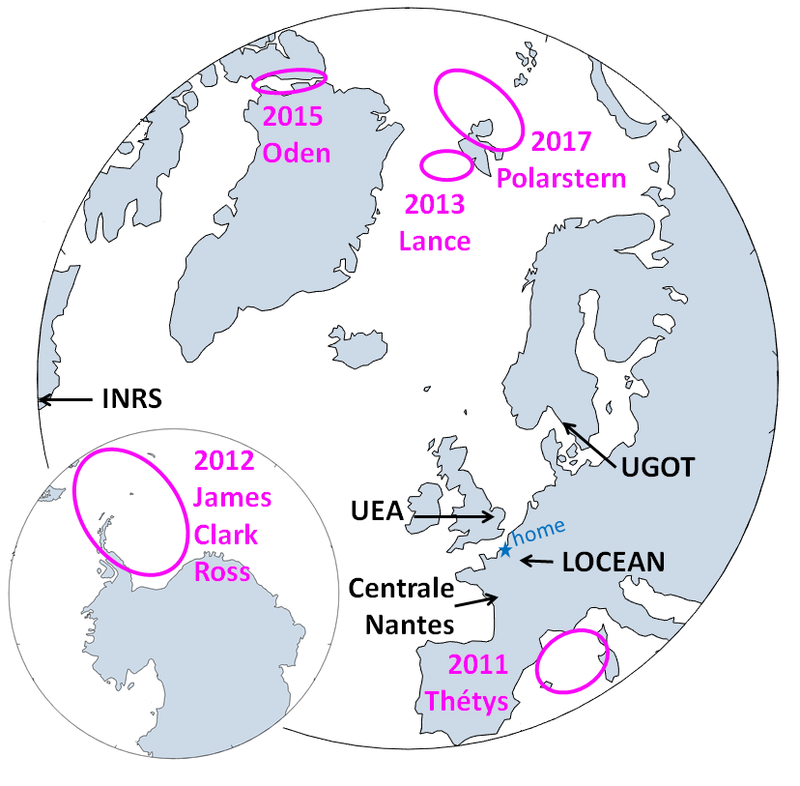 October 2011 to March 2015 – PhD student at the University of East Anglia, UK. Teaching and marking for undergraduate students at UEA. See the Teaching page. May to July 2013 – Royal Society Summer Science Exhibition, London (UK). See the Outreach page. Created a coarse resolution global climatology of the mixed-layer (ML) from raw Argo data. Examined the impact of SAM and ENSO on the ML properties’ interannual variations. Supervisors: Prof. K. J. Heywood (UEA), Prof. D.P. Stevens (UEA), and J.K Ridley (UK MetOffice), PhD. See publications ,,, and my PhD thesis. 2008 to 2011 – Engineering Degree and Master’s Degree in Hydrodynamics, Ecole Centrale de Nantes (France) and LOCEAN-IPSL, Paris (France). = Physics, fluid mechanics, hydrology, ship design, and a lot of computing. Master’s thesis on the interannual variability of the mixed layer depth in the Southern Ocean – I restarted working on that topic in October 2014 . Before that, I did my classes préparatoires (crème de la crème of the French undergraduate studies) in maths and physics at Janson de Sailly, Paris (France). If you really want to know what I did even before 2006, contact me. – Organiser of the “Polar Pub”, seminar series and networking event for polar early career researchers in Gothenburg.